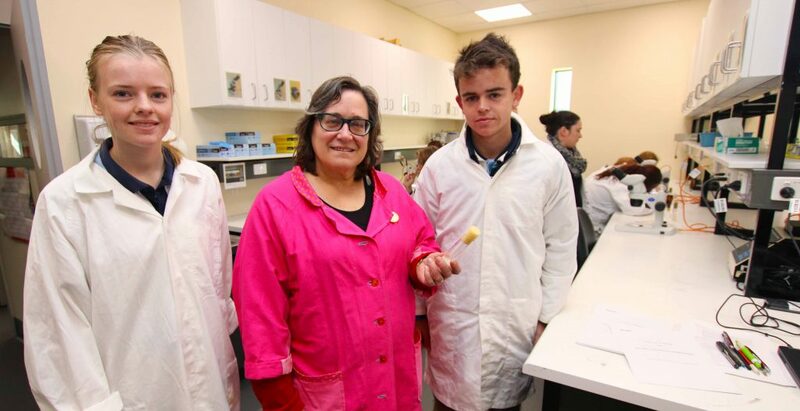 To further enhance their VCE biology study’s, Year 12 students traveled to La Trobe University Albury/Wodonga campus to complete a series of practical experiments. The group worked alongside Dr. Susan Lawler to complete theses activities, learning about the heredity visible traits that could be seen amongst a group of flies. These experiments were carried out using microscopes and scientific instruments in the laboratory at La Trobe. Dr. Susan Lawler said that “The students have been taught this concepts at school but opportunities like this make them come to life”.